I love living in the North again, I do, but there are things that I do miss of the South. Granted, I know for some South Florida is not considered the South, but for my home town it was. The more South you go like into Palm Beach, Broward and Miami-Dade it becomes a different world. Martin County is definitely a mix of ethnicities and backgrounds, but it was easy to find some Florida southern natives. Deep-fried gator, yes alligator meat, breaded and deep fried. Barbecue pulled pork, ribs, Florida Sweet Corn, Collards, BBQ sauces, and Sweet Tea!! Real Sweet Tea! I went into Chipotle up here (before all the sicknesses) and I went to go get some sweet tea and they didn’t have any!! Seriously??!! At Chipotle in Florida, I would mix the unsweetened tea with the sweet tea and it would be perfect for me. So anyway these ribs!! I went into Aldi, where I am doing more of my grocery shopping, I found baby back ribs for $8 a slab!! I bought two! Oh, I knew Victor was going to be happy for dinner that night along with leftovers! I also picked up sweet potatoes, ketchup, and yellow mustard, because I was going to make my own sauces! These ribs take 5 hours to cook, but they are so worth it. Low and slow for the first three hours, and then for the last two the heat is increased. They are tender enough to eat right from the bone. Yum! 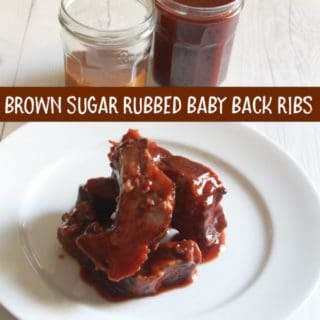 The rub for these ribs has a balance of sweetness with a subtle touch of spice. 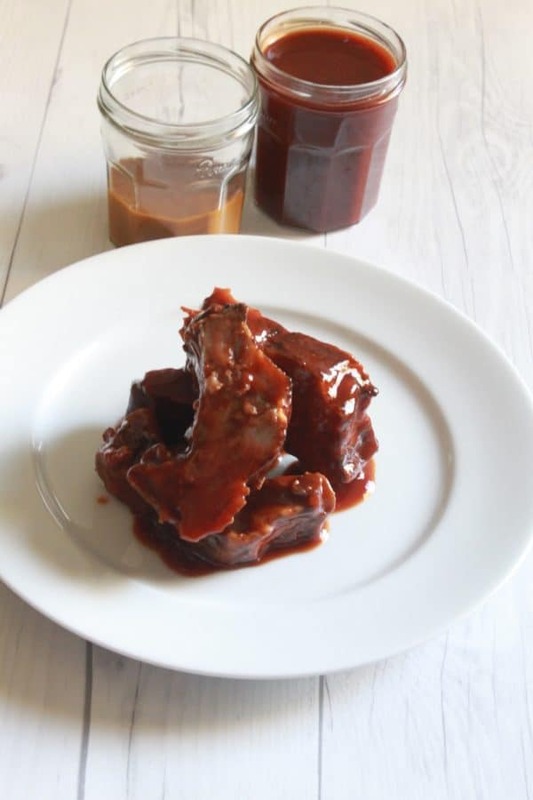 Serve these ribs with my Sweet and Tangy Barbecue Sauce or Carolina Gold Sauce! In the mood for some southern food? 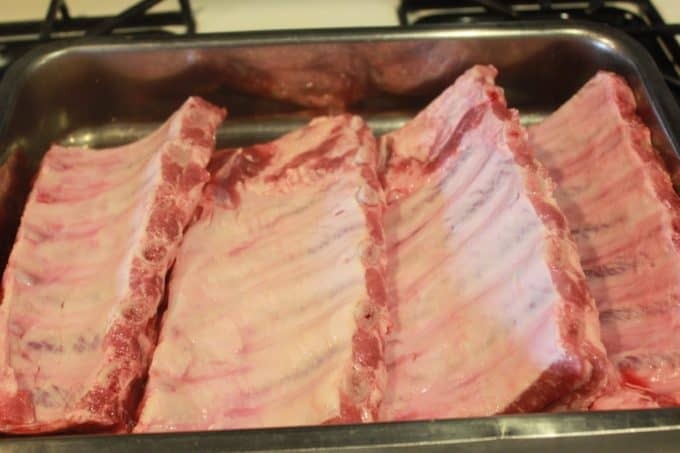 Make these ribs and turn the country music up! Cut the racks so that they will fit into the roasting pan. 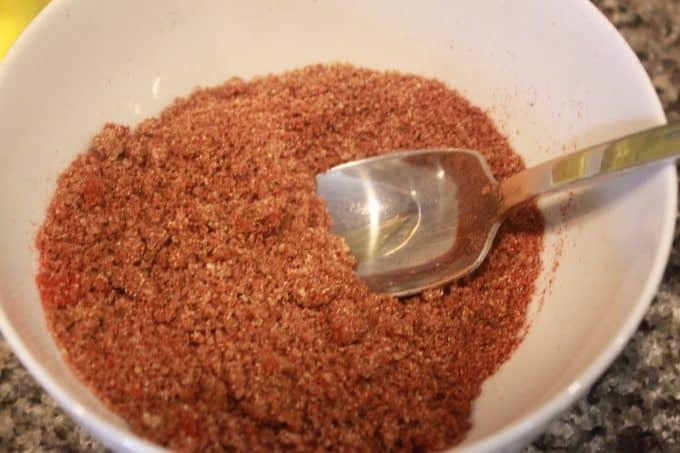 Mix all the ingredients together and pour in the roasting pan. 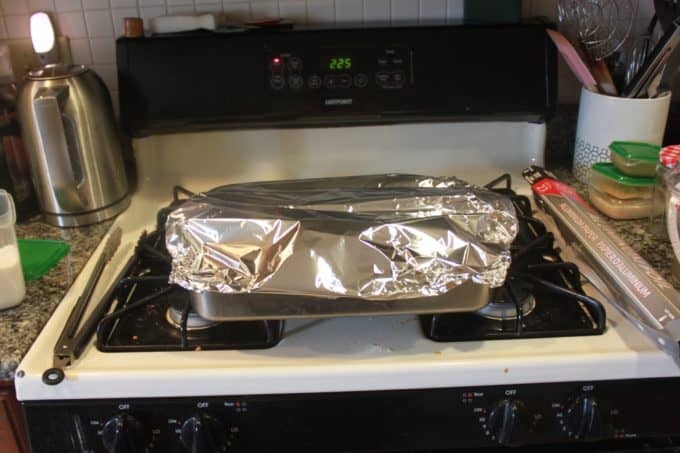 Cover the pan with aluminum foil, be sure that the foil doesn't touch the ribs. 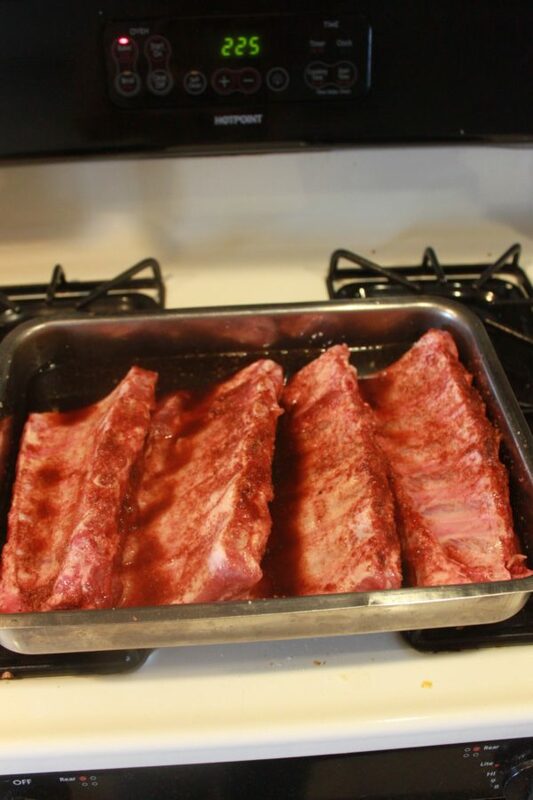 Place the ribs into a preheated oven at 275° F for 3 hours. After three hours, increase the heat to 325° F for 2 hours. 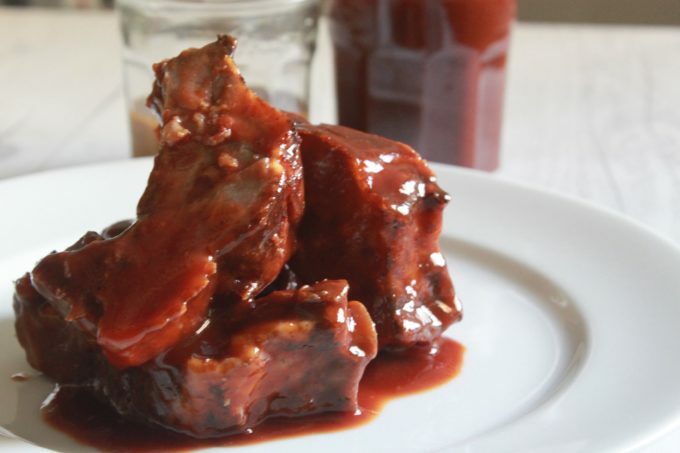 Yes, these ribs take 5 hours, but they are so worth it! Low and slow.. This recipe came out awesome!! The ribs were perfect, so moist and full of flavor!